First off, I want to say that the $60M acquisition of Socialcam by Autodesk is a great move for both companies. I have been watching Autodesk for the past year or so, and it’s a company that is making bold moves, for sure. Regardless of some of the things that I’ve brought to light about Socialcam’s rise to “glory”, I think that the video space has a long way to go, and I truly believe that Google (YouTube) is in the driver’s seat. What we saw during the great “Instagram of Video” debacle in the press was reporting without really looking at what was at stake. What Socialcam tried to do, and did pretty darn well, was break videos out of the normal places that we find them, on YouTube. Of course, it had to use YouTube videos to do this, but that’s not the point. The point is that Socialcam was the company that really nailed the huge possibilities that Facebook’s Open Graph made available as soon as it launched. Being able to share content with the tap of a finger, even when you’re not tapping a share button, is extremely powerful. As soon as Socialcam became a pro at this, many startups tried to copy their approach. 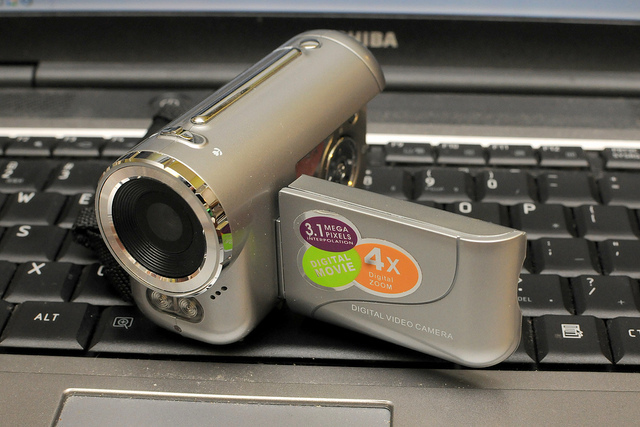 But did Socialcam really innovate in the video space, as it said it wanted to? I would argue that it didn’t, since video is hard as hell to crack. Just recording and publishing video, even with a few effects, isn’t enough to keep people interested. Sure, by using Open Graph, it most certainly engaged an audience, even if it was by accident. I think this shows that the power of Facebook’s Open Graph has peaked though, because a lot of users are complaining about content being automatically dropped in the News Feed of friends and on their Timeline. Now, the next thing I say has to be explained correctly, so let me frame it up. We had heard rumors over the past few weeks that Socialcam was up for sale, and that gaming company Zynga was taking a look at them. Why didn’t Zynga pull the trigger if they were interested? Because these “monthly users” must not tell the entire story about an application or a service. There are other important numbers, like how many videos have been recorded, how many are edited with effects, and so on. That’s the thing that no company has cracked when it comes to video. There are a lot of watchers, but not a lot of makers. Even Facebook’s Open Graph couldn’t turn Socialcam into a billion dollar acquisition. But now that we’re talking about a billion dollars, this is why Instagram was so valuable. It actually transformed how people interacted with photos. Pump and dump? Maybe, but we’ve definitely learned some things. Companies, go back to the drawing board on your apps. Make sure you’re doing something epic, and change the way that people do things. While Socialcam appears to have made out quite well (who will argue with $60M? ), it wasn’t what it was hyped to be. Open Graph tricks don’t turn you into a billion dollar company, innovation does. And the “homerun” for mobile video is still up for grabs.